After the P5+1 nuclear deal made it difficult for the Israeli government to continue to appeal to the right-wing through casting Iran as the bogeyman, depicting BDS as a ‘delegitimization’ campaign became its next means of generating fear and paranoia among voters, says journalist Richard Silverstein. KIM BROWN: Welcome to The Real News Network in Baltimore. I’m Kim Brown. One of the founders and best-known promoters of the Boycott, Divestment and Sanctions against Israel has been arrested last week on charges of tax fraud. Omar Barghouti is one of the best-known Palestinian activists. His name is mentioned in countless articles about BDS and even Israel’s Minister of the Interior, Aryeh Deri, revealed private information about Omar publicly in order to smear him. The Interior Minister has also said that he considers revoking Omar’s residency status in Israel. Back in May of 2016, Israeli authorities denied Barghouti the right to leave the country and last week Omar was arrested. He was granted bail but actually posted bail and yet he was held for five additional days before he was actually released. This is according to the Boycott National Committee. He was again denied the right to leave the country and is under a gag order precluded from discussing his case publicly. Here is a clip of Omar Barghouti speaking to The Real News back in 2010 to our senior editor, Paul Jay. Let’s take a look. OMAR BARGOUTI: And, again, it’s blaming the victim rather than looking at the victimizer. Israel does not recognize Palestinian rights, period. Israel does not even recognize that it’s occupying the West Bank and Gaza. Up ’til now Israel does not recognize that it’s in occupation, let alone other injustices. So, it is a complete reversal of who’s not recognizing whom. Second issue is, what do you recognize? Do you recognize Israel’s right to exist as a racist State? Is apartheid a regime that should be recognized? No, it shouldn’t. So not recognizing Israel’s political regime, it’s oppressive regime, does not mean that you do not recognize the right of Jewish persons, Jewish citizens to exist in this land. In Hamas’s program, in Fatah’s program, in the secular program, no one is questioning whether Jews should stay or not. This is not the issue. This is not being debated. It’s what’s the political regime that’s ruling this land? Currently, it’s an apartheid colonial regime. KIM BROWN: Joining us today to discuss this is Richard Silverstein. He wrote about this arrest in his blog titled, “Tikun Olam” in which he breaks stories that are under gag order in the Israeli media. Richard is also the contributor to the Mint Press News and he also writes for other publications and media channels. Two book chapters by him were recently published in the book “A Time to Speak Out” by Verso, and in Israel and “Palestine: Alternate Perspectives on Statehood” by Rowman and Littlefield. Richard joins us today from Seattle, Washington. Richard, we appreciate you being here. RICHARD SILVERSTEIN: Thank you for having me. I appreciate that. KIM BROWN: So, what is the connection between issues like paying taxes and the repression of activism and free speech? Because Omar was not arrested for his opinions, but on a financial issue. This sort of reminds me of when Marcus Garvey was arrested by U.S. Government officials on the trumped-up charge of mail fraud. Explain to us what’s happening here, Richard. RICHARD SILVERSTEIN: Well, you mentioned, Aryeh Deri, trying to revoke his residency. I think they found that they couldn’t do that so they’re looking for an alternative to persecute Barghouti and to discredit him in the eyes of his followers and the rest of the world. So, they’ve chosen tax evasion. And it’s similar to what the FBI did in the case of Al Capone. Not that I’m comparing Barghouti to Capone. I’m comparing more of the methods that the government uses to attack its opponents. Barghouti represents a serious threat to Israel, as it finds itself as a Jewish state. And because of that threat it has to use any means necessary to attack and undermine him. KIM BROWN: So, how is this story similar, and how is it different than the charges against former Israeli Member of Parliament, Azmi Bishara, whom the police accused of financial irregularities as well as of espionage, but who has managed to escape before he was arrested? RICHARD SILVERSTEIN: Very similar cases. In the case of Azmi Bishara, he was a really strong powerful representative for Israeli Palestinian Nationalism, and he was also deemed a threat by the Intelligence Services in Israel. And, they arrested him and questioned him on trumped up charges that he was funneling money to Hezbollah through moneychangers in Israel. And that he was spying on Israel on behalf of Hezbollah. There was no evidence or proof ever presented in any public forum about this. They did not, in his case, prevent him from travelling. So, what he did was, he just bought an airline ticket, and traveled and left the country because he faced, you know, a possibility of a decade or more in jail if he had been convicted on the charges. And the intelligence apparatus has a huge level of success in these prosecutions. So, the outlook for him was very grim and now he’s in the Gulf States and he’s a journalist and helping with a media channel that one of the Gulf States operates. KIM BROWN: So, this arrest was reported very widely, mainly on pro-Zionist sites, on the right-wing blogs, etcetera. And right-wing Israelis are gloating and celebrating this arrest. But, the BDS call was issued almost 12 years ago. So why was Omar not arrested before? RICHARD SILVERSTEIN: I think that the Israeli government has, over the past couple of years, been searching for an issue that it could cultivate and use to motivate its right-wing voters to instill a level of fear and paranoia. And for a while Iran was serving that role. And then when the U.S. and the P5 Plus 1 states came up with the nuclear deal, Israel no longer had such a kind of hysteria-provoking issue to rally its voters. So, now it’s turned to what it calls de-legitimization which is related to BDS. De-legitimization is a term that they’ve invented which means anyone who is trying to delegitimize Israel. However, they broadened that definition and they say that a de-legitimizer, which includes BDS and related organizations, are really trying to destroy the state of Israel, which isn’t true at all. But, that kind of sweeping definition does rally the troops on behalf of the far-right parties when there are elections. So, that’s why this has come to the fore. KIM BROWN: And, what has changed now that made Israeli authorities change their minds and arrest Omar? RICHARD SILVERSTEIN: Well, I think that last year there was a conference, and that was the one you were referring to Aryeh Deri’s statement about revoking his residency permit. So, they have started looking for ways to do this. They’ve also invested the Strategic Affairs Ministry with a really draconian and frightening mission, and that is to undermine BDS by any means necessary. And, they’ve used the term “civil targeted assassination”, referring to BDS leaders and specifically to Omar. That is a term, without the word “civil” in front of it, which is used to describe targeted assassinations of Palestinian militants in Gaza and other places. So, what they’re saying essentially is they’re going to use every possible means to destroy Omar Barghouti, and destroy anybody else who they view as a threat. So that has happened really in the last year or two and that is a reason why this arrest has happened. KIM BROWN: So, this arrest also comes as the Israeli Minister of Public Security, Gilad Erdan, announces his plan to create a database of Israeli citizens who support BDS. And it is assumed that such a database already exists for non-Israelis. So, Israel passed the new law, as I know you’re familiar with, Richard, to ban the entry of BDS supporters who are for Nationals. And we interviewed Hugh Lanning here at The Real News after he was denied entry and sent back to London. So, should we expect more punitive measures against BDS and its supporters? RICHARD SILVERSTEIN: Yes. I think you can definitely expect that. This issue the Likud has found to be fertile ground and I think they will expand it. There was recently an article in Haaretz, which said that the government is spending tens of millions of dollars on the anti-BDS effort. I wanted to add that Omar Barghouti is due to accept a peace prize from the Pursuing Peace NGO in Connecticut next month. And the government of Israel has refused to allow him to travel. So, the NGO has created a petition, which I’m hoping we can let your viewers know about, which protests his arrest and protests his inability to travel. This kind of activity on the part of the government I liken to what happened in the U.S. in the 1950s. 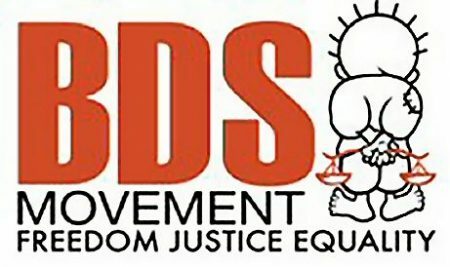 BDS in Israel has become like the “communist menace” that J. Edgar Hoover and the FBI fomented in America. We had the same kind of hysteria in America about communism, about a communist under every bed, and you had the movies about you know, “I know was a communist for the FBI” and all sorts of things like this. This kind of hysteria and paranoia is exactly the same as what is happening in Israel right now. And, I would liken people like Gilad Erdan, we mentioned and his assistant, whose name is Sima Vaknin, to Roy Cohen and Joe McCarthy. And they’re performing the same role in Israel that those figures did in the United States. And it’s very chilling. KIM BROWN: We’ve been speaking with Richard Silverstein. Richard wrote about the arrest of Omar Barghouti in Israel. And you can find it on Richard’s blog it’s called “Ticun Olam”, where Richard breaks stories there that are under gag under the Israeli media. So, Richard, we certainly appreciate your coverage of this arrest. And we will keep track of what happens to Omar after this. KIM BROWN: And thank you for watching The Real News Network. Richard Silverstein is an independent journalist who writes the Tikun Olam blog, which explores Jewish-Muslim relations and the Israeli-Arab conflict.